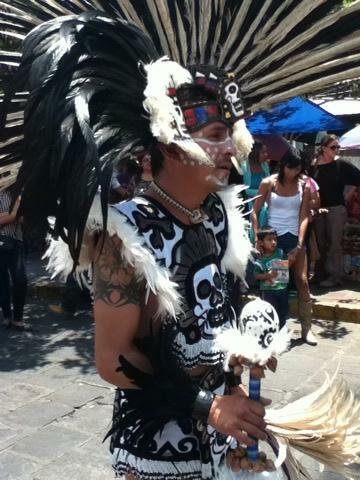 Here in Mexico Catholic festivals often include Aztec dancers. Today I happened onto these dancers celebrating the Virgin of Guanajuato. Imagine the sound of drums, the shimmer of feathers, and the rattle of ayoyote seed ankle bands. 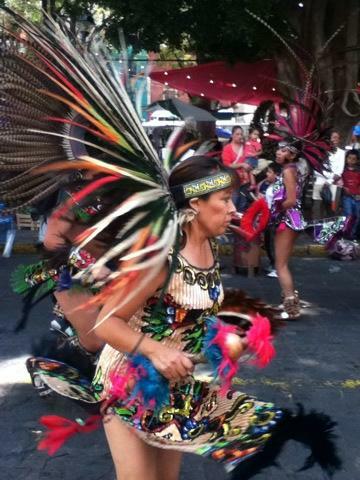 This entry was posted in MexMix and tagged Aztec, Catholic, Guanajuato on May 19, 2013 by Dianne Romain.